This time I want to speak about various ways how to wear knitwear this spring season. The first thing is to forget about heavy knits and accessories. This warm season is all about layering with lightweight pieces. Thanks to modern designer brands all our favorite winter clothes and accessories have been modified from loose-knit sweaters to lightweight cardigans. All these knitwear essentials can be layered right on top of your lovely spring blouses, dresses and shirts. Make the transition with some easy knits by pairing them with your favorite floral print clothes. 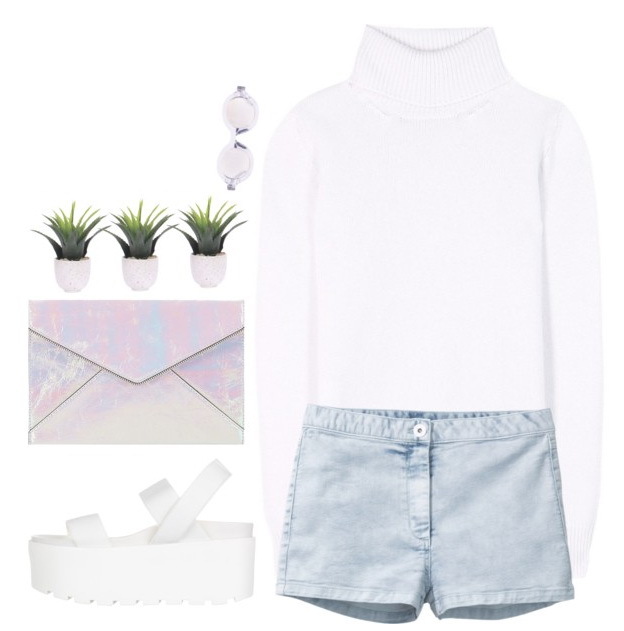 Check out my favorite Polyvore sets and let me know your thoughts in the comments below. This outfit is ideal for the first month of spring season. 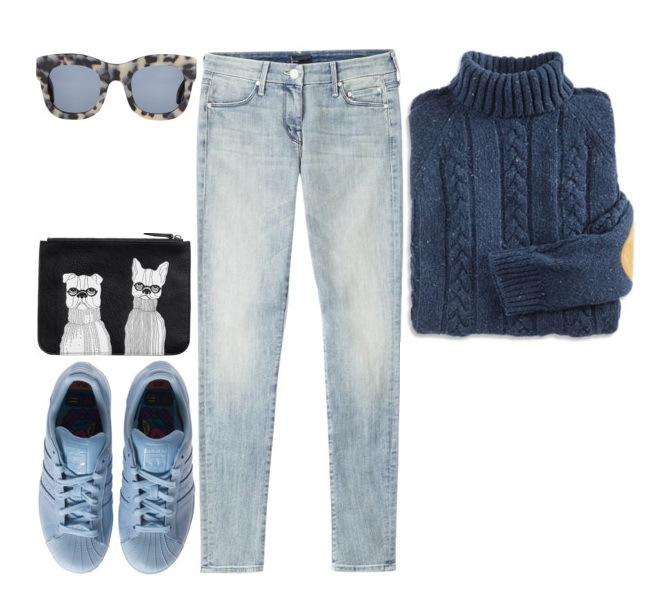 We see a turtleneck wool sweater in blue color that can be paired with washed blue regular-fit jeans, old scool sneakers and tortoise sunglasses. I know many ladies who think knitwear is meant only for winter seasons. Believe me, there are always spring days and summer nights, when you really want to cocoon yourself in cozy knits. Believe me, there is nothing wrong in wearing light knitwear pieces while the sun is shining. Be sure to try on sweet looking cropped jumpers, light knit sweaters, cardigans that can be incorporated with your lovely dresses and jumpsuits. Even if it does get warmer throughout the day, you can easily take off your knits and show off your lovely separates or a dress. Personally, I am in love with cardigans. This knitwear essential can be styled with a variety of outfits, starting from casual jeans plus tee combos to day dresses and evening looks. If you are wearing an outfit with exposed baring shoulders, then be sure to add light cardigan that will save you from the unexpected chilly winds.